Multimedia all-rounder. For a price of 700 Euros (~$895) Sony offers a multimedia notebook including an AMD Radeon HD 7650M GPU and an Intel Core i5 processor. Our review will reveal if the device is any good. 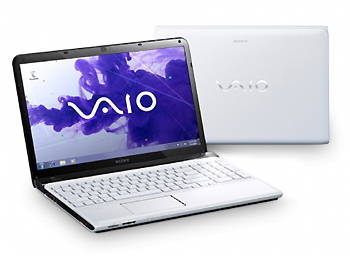 The Vaio E-Series is known for notebooks, which are intended for daily usage as well as for leisure and work. Sony´s models offer sizes of 11.6-inch, 14-inch, 15.5-inch and 17.3-inch. We will test a representative of the 15.5-inch models. Our test device is powered by an Intel Core i5-3210M dual-core processor. It is able to make use of 6 GB of RAM. The graphics will be handled by the AMD Radeon HD 7650M GPU. The data and applications will be saved onto a 750 GB HDD. It also comes with a DVD burner. The notebook is also available in a diversity of other configurations. Competitors of the Sony notebook are the Lenovo IdeaPad Z580 (Intel Core i5-3210M, NVIDIA GeForce GT 630M) and the Asus K55VM-SX064V (Intel Core i7-3610QM, NVIDIA GeForce GT 630M). Note: We tested with a pre-production model. 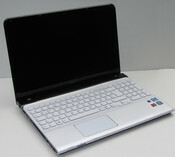 This model was equipped with an Intel Core i5-3210M processor (2.5 GHz, Ivy Bridge). However, the production model comes with an Intel Core i5-2450M processor (2.5 GHz, Sandy Bridge) on the market. Why Sony is using an old processor, we do not know. We have tried to repeat the Benchmarks with the production model. It will be mentioned at the corresponding places of the review. The Sony SV-E1511V1EW is made completely of plastic. The upper side of the base unit and the rear side of the lid are made of a matte white plastic. 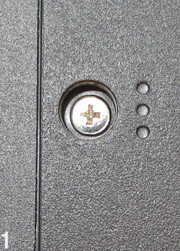 The upper edge of the base unit (about 3.5 mm/0.14 in. ), the display frame, as well as the sides of the base unit, are made of a shiny black plastic. In general the casing gives a firm impression. The palm rest bends a little under a load, while the keyboard bends considerably more. Especially at the upper edge near the F-keys the keyboard is very loose. While using the 'E', 'R' and surrounding keys, the keyboard rattles. This rattling occurs on the production model but not in the pre-production model. It appears as if a keyboard screw or a fastening clip has been forgotten at this location of the production model. Presumably this mistake is only present in our test device. When lifting the open notebook at the two opposite corners, the case warps just a little. The lid can also be warped a bit. The hinges hold the display firmly in position. Opening the display with one hand is not possible, because then the base unit will lift up. The hinges are too tight for this. In total the manufacturing of the pre-production model and the production model are identical. Sony has chosen the colours black and white. The rear side of the lid is made of a matt white plastic. On the left side of the notebook is one USB 3.0 port. Those who want to connect the device to a flat screen at home will be pleased about the HDMI output. Furthermore a VGA output, a Gigabit Ethernet port and a power socket have been put on the left side by Sony. The two audio jacks (microphone, headphone) have also found their place here. On the right side three additional USB ports are situated. However, these just support USB 2.0 standard. A socket for a Kensington Lock can be found on the right side too. 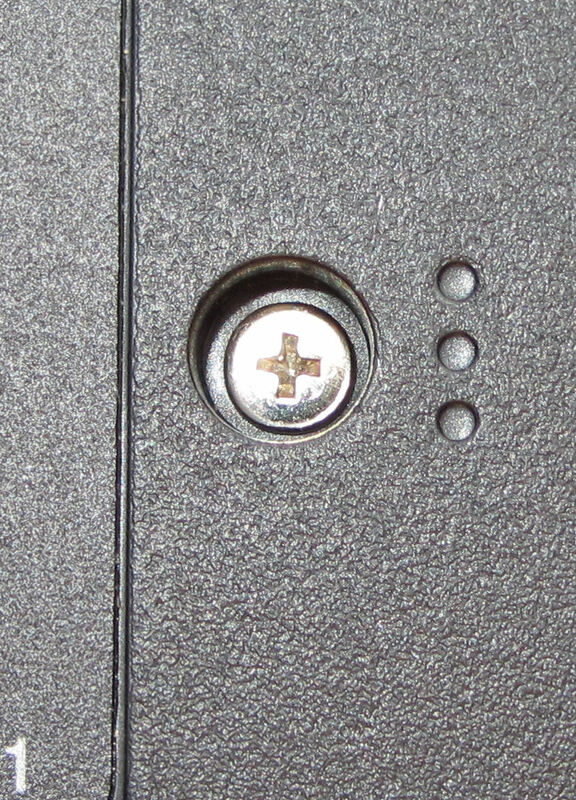 A DVD burner is located between the Kensington Lock and the three USB ports. On the front the user encounters two card readers. One for SD cards, while the other supports Memory Sticks, Memory Sticks Pro and Memory Sticks Pro Duo. 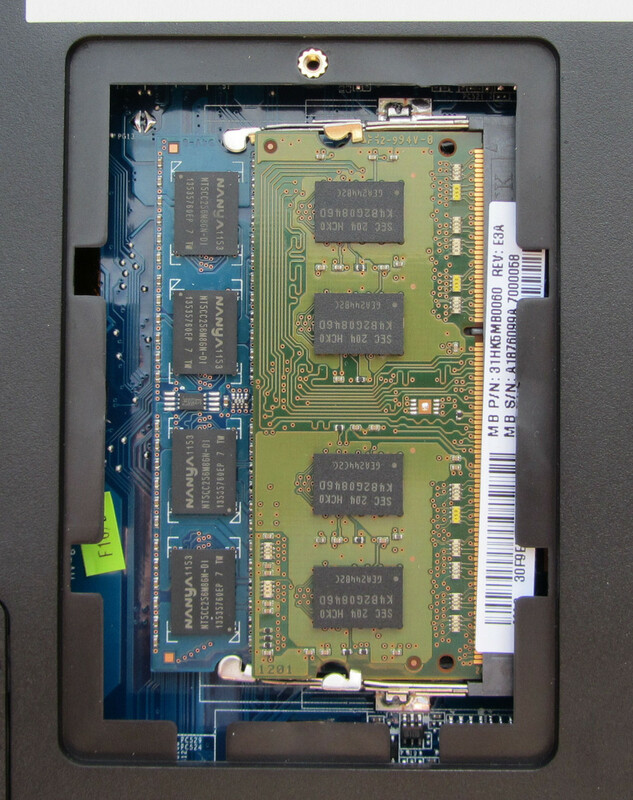 The WLAN module of Sony's notebook originates from Atheros and is called AR9485WB-EG. This module supports standard 802.11 b/g/n and it also includes Wi-Fi Direct (facilitates the direct connection between two devices without a router between them). Connection with a hard wired network is handled by a Gigabit Ethernet chip made by Realtek. It is one of the most used component of the RTL8168/8111 family. Concerning the Bluetooth chip, Sony again uses one of the company Atheros and supplies an AR3012 module, which supports Bluetooth standard 4.0. Besides the common manuals and quick start instructions no further accessories are added in the package of the notebook. The Sony SV-E1511V1EW is delivered with pre-installed Windows 7 Home Premium (64-bit) to the customer. A Windows 7 DVD is not included. The recovery of the System can be done with the help of the recovery partition. In addition a recovery DVD can be created with the use of a Sony tool. Sony has pre-installed some programs: For Internet security the program McAfee Internet Security is responsible. With the use of McAfee Online Backup personal data can be stored in the cloud. The playback of DVDs is covered by Cyberlink's Power DVD 9. The programs ArcSoft Magic-i Visual Effects 2 (image manipulation) and ArcSoft Webcam Companion 4 (webcam software) are interesting for webcam users. Microsoft Office 2010 Starter, Windows Live Essentials 11 and Skype can also be found on the hard drive. Next to these, Sony installed several tools of its own, some of which are very useful. For example, 'Vaio Smart Network' facilitates quickly turning the network connections of the notebook on or off. Above the keyboard are three special buttons: The button 'Vaio' starts the 'Vaio Control Center', while the button 'Web' opens the default web browser. The button 'Assist' opens a collection of Sony programs. This provides tools for searching and repairing of problems as well as a tool for creating a recovery DVD. The button 'Assist' offers an additional function: When this button is pressed while the notebook is off, the Vaio Care Rescue system starts. This system enables the possibility of resetting the notebook to factory defaults. Windows 7 as well as all drivers and programs will be re-installed. But be careful: All personal data and settings will be deleted. The possibility of maintenance is limited. Underneath the device are two maintenance panels. 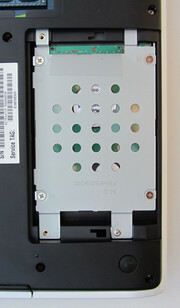 One of these panels allows access to the hard disk, which can be exchanged easily. Therefore two screwdrivers are needed (different screw types are installed). Behind the second maintenance panel the RAM sockets can be found. Our test device is equipped with 6 GB RAM, while a maximum of 8 GB is supported. Access to the fan or the WLAN module is not possible. 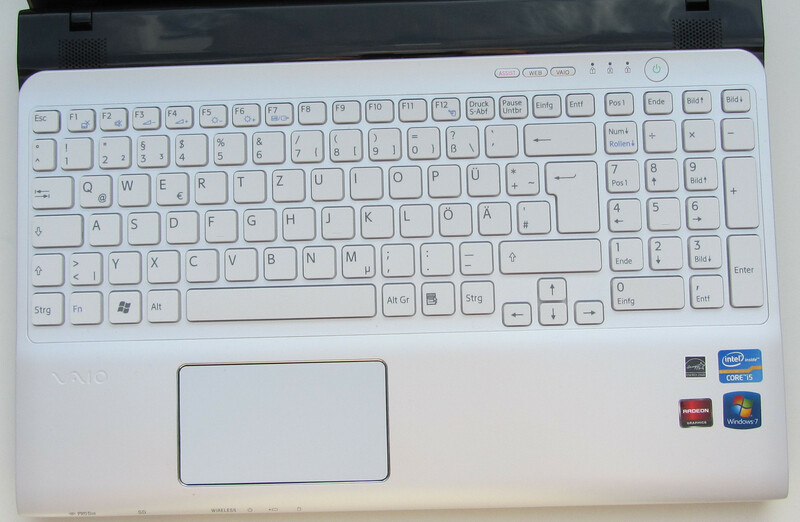 The Sony notebook is equipped with a white Chiclet keyboard. The main keys have the size of 15 mm x 15 mm (0.6 inches). The gap between the keys is 4 mm (0.16 inches) wide. The typing experience pleases us. The keys have a decent size and their pressure point is recognizable, but not too stiff. Nevertheless we have some negative points: Earlier we have reported about bending of the keyboard under load. This is not only visible, but also audible. When using the left side of the keyboard (near the 'E', 'R' and 'T' keys) a relatively loud 'click' sound occurs. It seems the keyboard is not fixed correctly. Furthermore the arrow keys and the left Shift key are a little too small. Sony offers the notebook with backlight but our test device did not include backlight. Sony equips the Vaio SV-E1511V1EW with a 10 cm x 5.6 cm (3.9 x 2.2 inch) Clickpad. 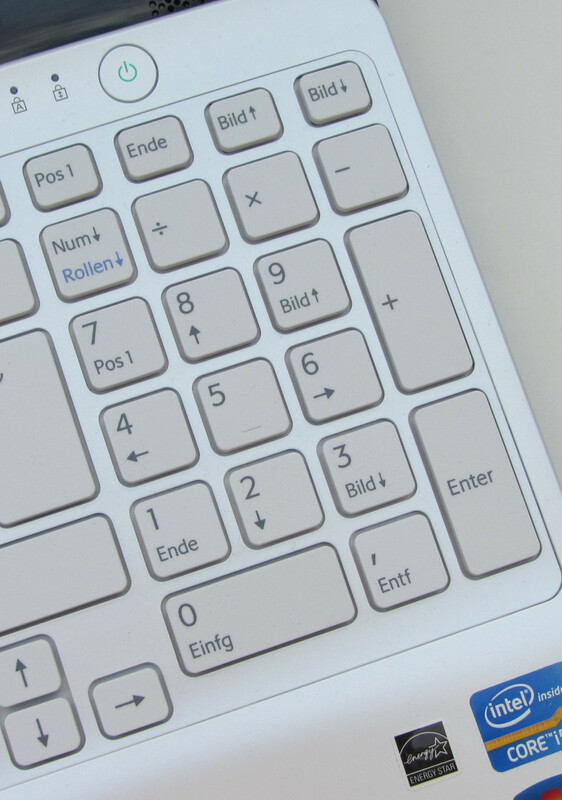 A Clickpad is a touchpad without separate mouse buttons. The whole Clickpad can be seen as one single button. When pushing the lower part of the pad, this is interpreted by the Clickpad - depending on the position - as a left or right mouse click. The touchpad is surrounded by a silver frame, distinguishing it from the palm rest. The smooth surface of the touchpad allows the fingers to glide comfortably. In addition the touchpad supports multi-touch and enables gestures such as zooming with two fingers. The Clickpad offers a stiff and well-defined pressure point, but with a shallow depth. The keyboard is also available with backlight. 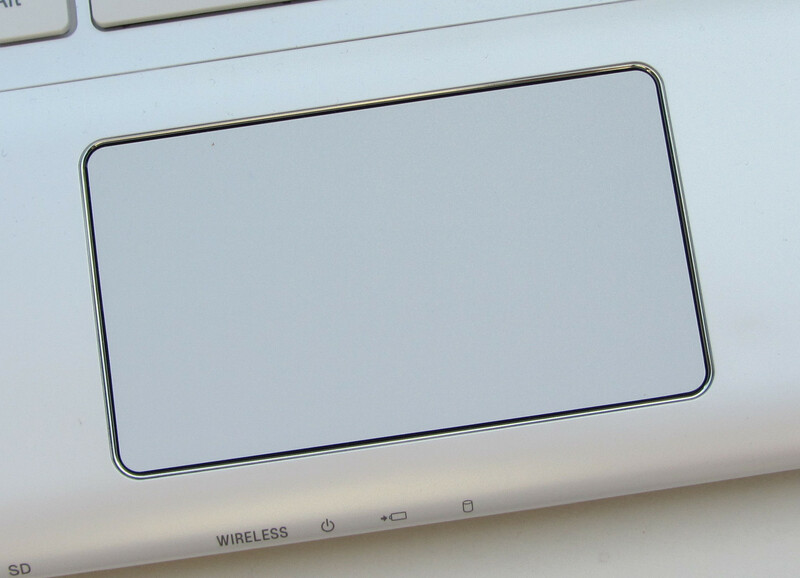 The touchpad is capable of multi-touch. Sony does not shine with the display of the Vaio SV-E1511V1EW. It is equipped with a 15.6-inch display with a native resolution of 1,366x768 pixels. The surface of the LED illuminated display glares. Other displays are not offered by Sony. The average display brightness of the Vaio SV-E1511V1EW at 202.3 cd/m² places it at most in the middle class. The Lenovo IdeaPad Z580 does not deliver a better result (212.3 cd/m²). The average brightness of the Asus K55VM-SX064V results in an even worse result of 191.9 cd/m². The illumination level of the Sony notebook (90%) is a little bit better compared with the IdeaPad Z580 (89%), while the Asus display has an illumination level of 85%. Also the display's black level of 1.01 cd/m² is just mediocre. The Asus K55VM-SX064V with a value of 1.09 cd/m² is comparable. 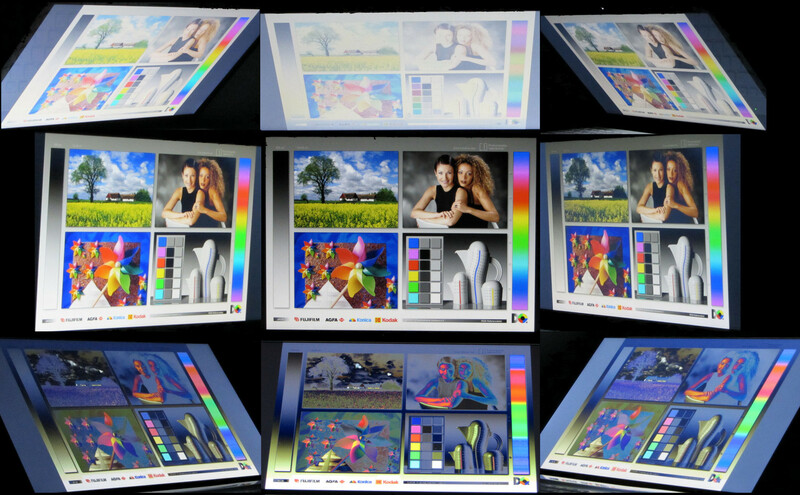 A considerably worse result is delivered by the IdeaPad Z580 which achieves a black level value of 1.57 cd/m². 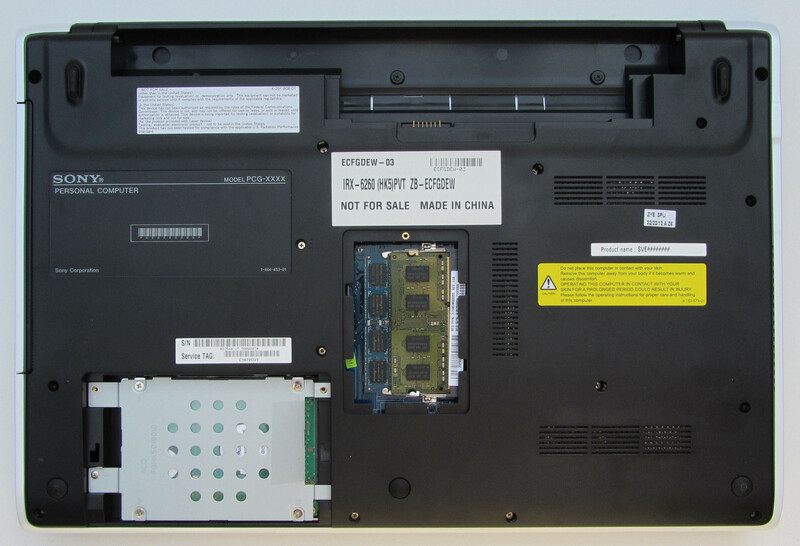 The SV-E1511V1EW achieves a contrast ratio of 213:1 and is therefore positioned clearly in front of the IdeaPad Z580 (138:1) and the Asus K55VM-SX064V (183:1). 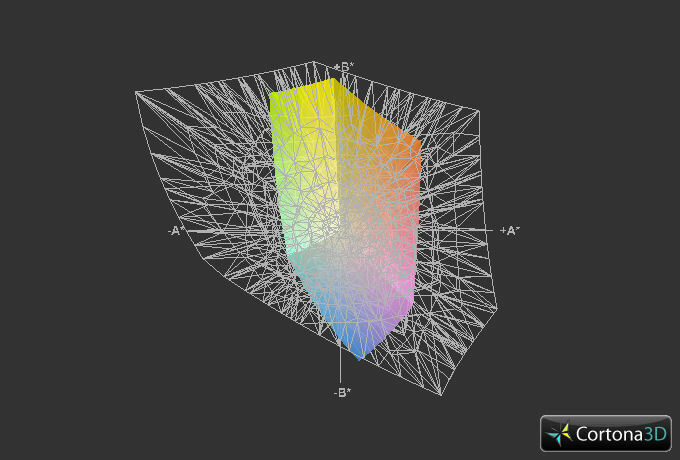 Neither sRGB color space nor the AdobeRGB color space is covered by the Sony display. 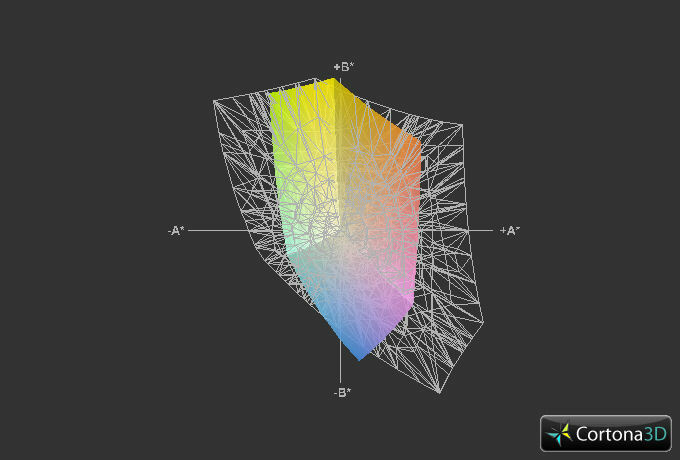 That should not be a problem, since these color spaces are used for professional graphics and image editing. 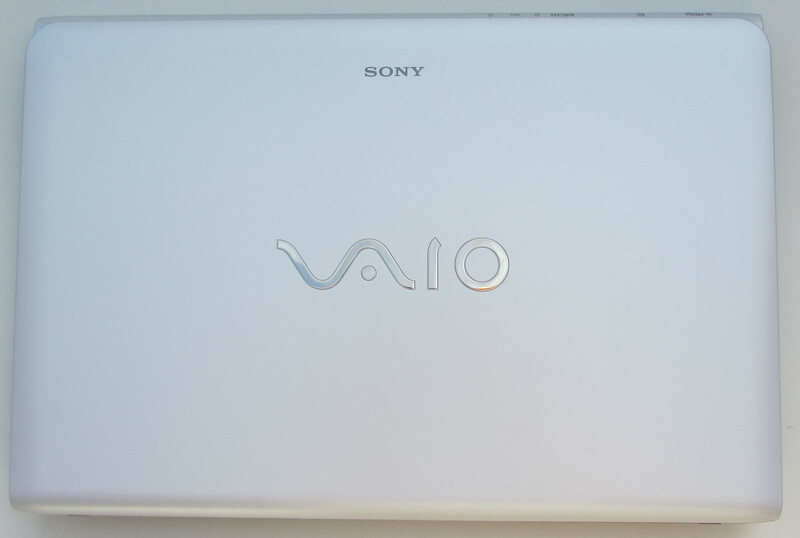 The Sony Vaio SV-E1511V1EW outdoors. Utilizing the device outdoors is barely possible. The low brightness and the glossy display prevent the use outside. The notebook can be used at most in shaded places or where no direct sunlight is present. 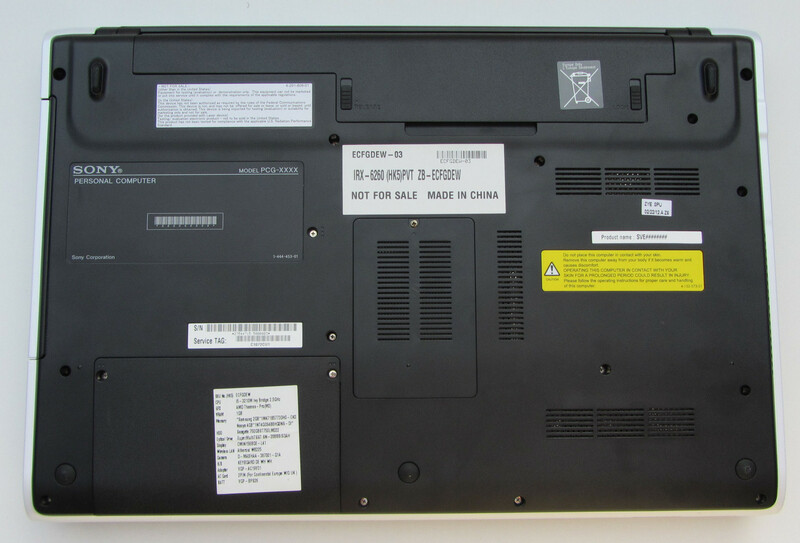 Also in the case of viewing angle stability the Sony Vaio SV-E1511V1EW is no surprise. A change in vertical angle leads to a break-up of the displayed images. However, when changing the horizontal viewing angle, the displayed images are stable for a wider angle. Sony's Vaio SV-E1511V1EW represents a multimedia notebook. Daily tasks such as browsing the Internet, Internet communication, playback of YouTube videos and DVDs and office tasks are no problem for this device. The integrated processor as well as the graphics qualifies the device for computer games and video editing. Of course the performance is enough for playing Blu-Ray disks, while a suitable drive is not integrated in our test device. However, Blu-Ray drivers are available for the notebook. Sony offers a Blu-Ray combo drive and a Blu-Ray burner. Different pre-configured models can be bought on the free market. Alternatively it can be configured to the customer’s own requirements when bought from the Sony online shop. The cheapest model (Intel Pentium B970, Intel HD Graphics GPU, 4 GB RAM, 320 GB HDD, DVD burner) costs about 470 Euros (~$600). Our test device (with an Intel Core i5-2450M processor) can be bought in the online shop for a little bit more than 700 Euros (~$895). One advice: Configure the notebook in the Sony online shop where it is possible to create a gaming notebook for 600 Euros (~$767) with an Intel Core i3 processor, AMD Radeon HD7650M GPU and a 320 GB hard disk. Those buying the notebook in Sony's online shop can configure their individual device with the aforementioned Blu-Ray drive. The prices are moderate. The Blu-Ray combo drive or the Blu-Ray burner increase the purchase price about 10 Euros (~$13) or 80 Euros (~$102), respectively. Sony has equipped our test device with an Intel dual-core processor, the Intel Core i5-3210M. The dual-core is from Intel's Ivy Bridge processor generation. The clock speed of the CPU delivers 2.5 GHz. The speed can be upgraded to 2.9 GHz for both cores and 3.1 GHz for a single-core (Intel Turbo Boost). Overclocking of the CPU cores takes place automatically. During the stress test (running Prime95 and FurMark at the same time) the CPU always operated at the full clock speed of 2.9 GHz. The GPU operates likewise with its maximum speed (500 MHz). Throttling could not be observed. In the case of battery powered use a comparable result was observed. The CPU operated at 2.9 GHz, while the GPU was throttled to 400 MHz. 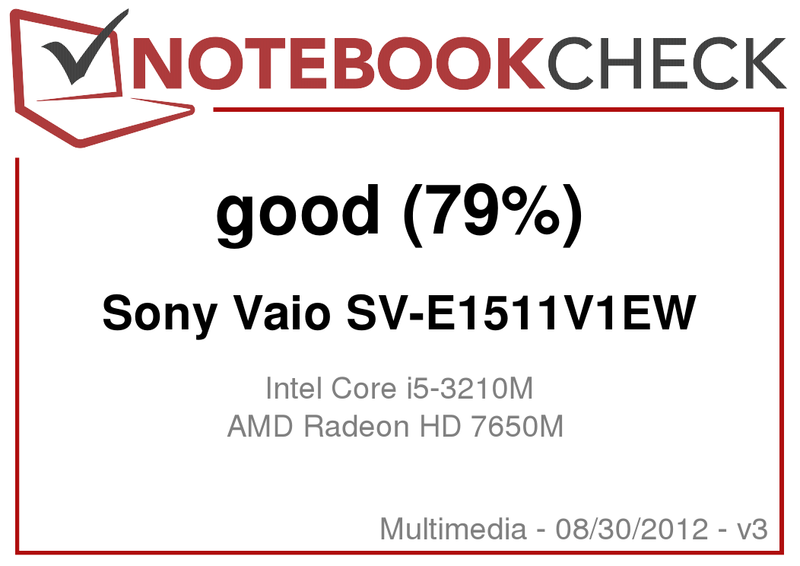 The production model of the Sony notebook (with an Intel Core i5-2450M processor) cannot keep up with this good result. Both during running on the mains as well as battery powered the CPU clock speed decreased to 2.5 - 2.6 GHz after several minutes. Over several additional minutes the clock speed kept decreasing a little bit more and settled at 2.2 GHz - 2.5 GHz after almost 15 minutes. The clock speed of the GPU has not changed compared to the pre-production model. The full clock speed was also always available during the Cinebench tests (for the production model with Intel Core i5-2450M processor too). Accordingly the test results are at the level of the other notebooks, powered by an Intel Core i5-3210M. The Lenovo Z580 has been defeated in all Cinebench tests although it is powered by the same CPU. Against the Asus K55VM-SX064V however, the Sony notebook cannot keep up. On the other hand the Asus device is powered by a quad-core processor (Intel Core i7-3610QM). The GL tests however, are decided in favor of the Sony device. A possible reason for this could be that the competitors execute the GL tests with the integrated Intel HD Graphics 4000 GPU. The Cinebench result of the production model (Intel Core i5-2450M processor) lies about 5% to 6% beneath the results of the pre-production model. That is in accordance with the improved performance of the Ivy Bridge architecture compared to the Sandy Bridge architecture at the same speeds. The operating speed during daily usage is satisfying. The system works effortlessly. However, a hard disk with 7,200 RPM or a Solid State Disk would improve the overall impression of the system. The Lenovo IdeaPad Z580 delivers a slightly better PCMark-Vantage result. The reason should be the faster hard disk. The results of the Asus K55VM-SX064V reach neither the results of the Sony notebook nor the result of the Lenovo device. The result of the production model (with Intel Core i5-2450M-Processor) reaches 6,779 points (PC Mark Vantage) or 2,000 points (PC Mark 7), which is slightly less than the pre-production model. 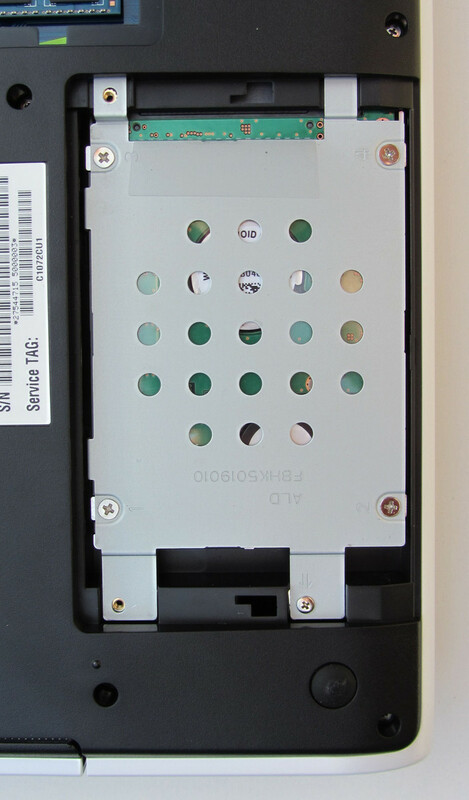 Sony integrated into the Vaio SV-E1511V1EW a conventional hard disk from Seagate’s Momentus Spinpoint M8 series. The HDD spins at 5,400 RPM with a capacity of 750 GB. That should be sufficient for reams of photos, music and videos. With an average transfer rate of 66.4 MB/s the Seagate HDD can be found in the lower midfield of the 5,400 RPM hard disks. Despite the mediocre results of the hard disk it does not appear to slow the system down. Those wishing to have more speed have the possibility of changing the hard disk into a 7,200 RPM HDD or a Solid State Disk. Sony also offers hard disks with less storage capacity. The production model of the Sony Vaio SV-E1511V1EW is equipped with a 750 GB HDD of Western Digital. This one achieves slightly better benchmark results. The graphics on the notebook are done by the AMD Radeon HD 7650M GPU. This middle class GPU supports DirectX 11 and operates at a speed of 500 MHz, enough for playing games fluently. The integrated GPU of the Intel Core i5-3210M is not used at all by the notebook (that also applies to the production model with Intel Core i5-2450M processor and Intel HD Graphics 3000 GPU). It seems Sony deactivated the integrated GPU completely since it is also not indicated in the device manager. Therefore the AMD GPU operates in idle-time too. The reason for the deactivation lies in the fact that the switching between integrated GPU and dedicated GPU with an AMD GPU does not work as smoothly as NVIDIA obtained with their Optimus technology. The results of the various 3D Mark benchmarks are as expected at the level of other mediocre GPUs (e.g. 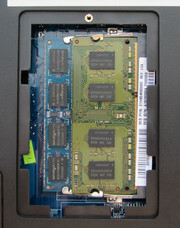 NVIDIA GeForce GT 630M). Therefore the test results of the IdeaPad Z580 (NVIDIA GeForce GT 630M) and the Sony notebook are practically on the same level. The Asus K55VM-SX064V (NVIDIA GeForce GT 630M) can distinguish itself from both. The cause for this can easily be found in the quad-core processor. The results of the Vaio SV-E1511V1EW production model are in all 3D Mark benchmarks on the same level as the pre-production model. The combination of Intel Core i5-3210M CPU and AMD Radeon HD 7650M GPU allows to run current computer games. Already the results of the different 3DMark tests alluded this possibility. The practical test confirms this assumption. The tested games were playable with a medium quality setting and a native resolution of 1,366 x 768 pixels, most of the time fluent. Some games were fluently playable with high quality settings. The frame rates of the serial model (with Intel Core i5-2450M processor) should be at the same level. The stronger the frame rates of a game are dependent of the CPU performance the lower will be the frame rates. In extreme cases the difference can be expected to be 5-6 percent downwards. Sony has managed to create a quiet notebook during daily usage with the Vaio SV-E1511V1EW. We measured values of 31.3 dB(A) to 32.9 dB(A). It became noisy during the intensive stress test (Prime95 and FurMark running at the same time). The volume clearly reached the disturbing region with a value of 42 dB(A). During the less intensive tests (3D Mark 2006 running) we measured a volume of 35.7 dB(A), which is acceptable. The Sony Vaio SV-E1511V1EW during the stress test. During idle state the temperatures were in the acceptable range. The notebook achieved temperatures between 29 and 37.1 degree Celsius on the top as well as underneath. At these temperatures it is possible to work comfortably and to rest the notebook on the lap without problems. However, Sony discourages to do so, which is denoted by a corresponding sticker underneath the notebook. 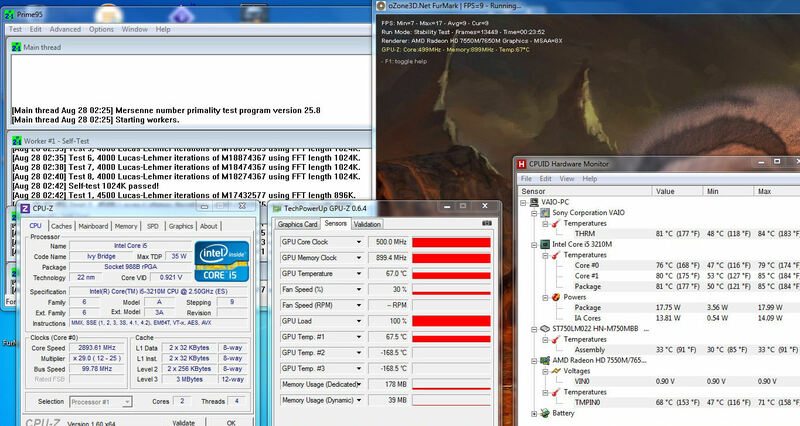 During the intensive stress test (Prime 95 and FurMark running at the same time) the temperatures increased to values between 31 and 49.4 degree Celsius. The temperature of the palm rest allows working comfortably during maximum load just as well. During our intensive stress testing (Prime 95 and FurMark running at the same time for at least one hour) the maximum clock speed of the CPU and the GPU was permanently available. Throttling could not be observed. Only during battery powered usage the operating speed of the GPU decreased from 500 to 400 MHz. The temperatures settled at 80/81 degree Celsius. The two stereo speakers of the notebook are located on the left and the right side of the keyboard. The sound of the speaker is neither very positive nor very negative. The bass was missing. In total the sound quality has an acceptable quality. Speech is easy to understand. Those not satisfied with the sound quality can connect external speakers or headphones to the device. The Sony Vaio SV-E1511V1EW appears to be very power consuming during idle state, where we measured a consumption of 11.6 to 16.5 Watts. That is simply too much. These values are comparable with the quad-core notebook Asus K55VM-SX064V. The power consumption of the IdeaPad Z580 is a little bit beneath the values of Sony's notebook. Considerably less power is consumed during maximum load. During the intensive stress testing (Prime95 and FurMark running at the same time) we measured a power consumption of 58.7 Watts. During the less intensive testing (3D Mark 2006 running) we registered a power consumption of 36 Watts. Both values are considerably less compared to the values of the IdeaPad Z580 (57.8 Watts/70.1 Watts) or the Asus K55VM-SX064V (70.5 Watts/105.6 Watts). Sony predicts on their website a battery runtime of four hours for this notebook. This is not a lie. During idle state the Sony reaches a battery runtime of 4:41 h (IdeaPad Z580: 6:49 h, Asus: 5:33 h). We tested the idle state with the Battery Eater Reader’s test. In this case the display is running at minimum brightness and the power saving profile is activated while the wireless modules (WLAN, Bluetooth) are deactivated. At intensive load the Sony notebook reaches a battery runtime of 1:31 h (IdeaPad Z580: 1:46 h, Asus: 1:04 h). In this case the notebook was tested using the Batter Eater Classic test. The display is tuned to maximum brightness and the high performance profile and the wireless modules are active. With a fully charged battery a battery runtime of 3:05 h (IdeaPad Z580: 4:34 h, Asus: 3:44 h) is achieved during WLAN-test. At this test, a script repeatedly loads websites every 40 seconds. In this case, the power saving profile is active and the display brightness is set to about 150 cd/m². A battery runtime of 2:28 h (IdeaPad Z580: 3:24 h, Asus: 3:36 h) is reached by the Sony Vaio SV-E1511V1EW using the DVD Test. That is enough for watching two movies. For the DVD test, the wireless modules are switched off and the display is set to maximum brightness. The performance profile is set to either power saving or higher performance (in case the DVD did not play smoothly). The battery runtime is not very impressive. The competitors reach a higher runtime with a 10% higher battery capacity. In these situations the absence of a switchable graphic card is noticeable. Those requiring a longer battery runtime should consider buying a battery with a higher capacity. 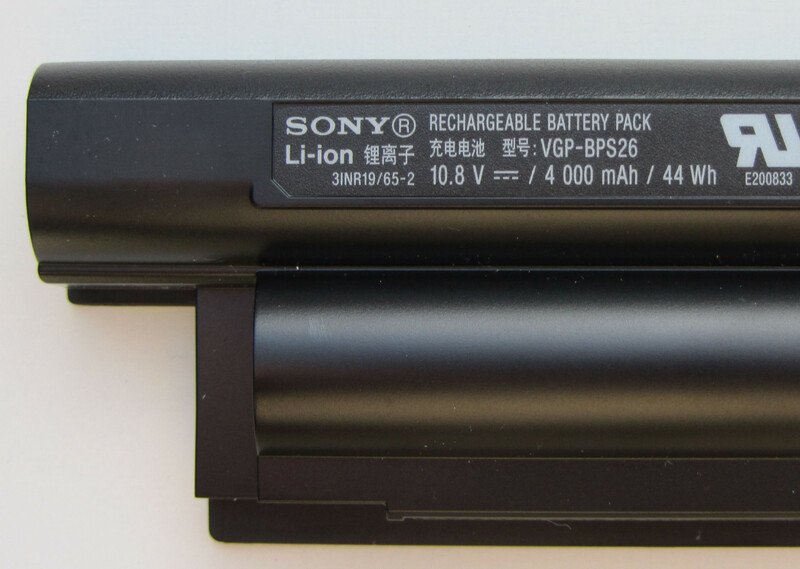 Sony offers such a corresponding battery (VGP-BPS26A). The battery has a capacity of 59 Wh. This should increase the runtime about one third. The respective price lies between 100 and 150 Euros (~$123 and $192) on the free market. 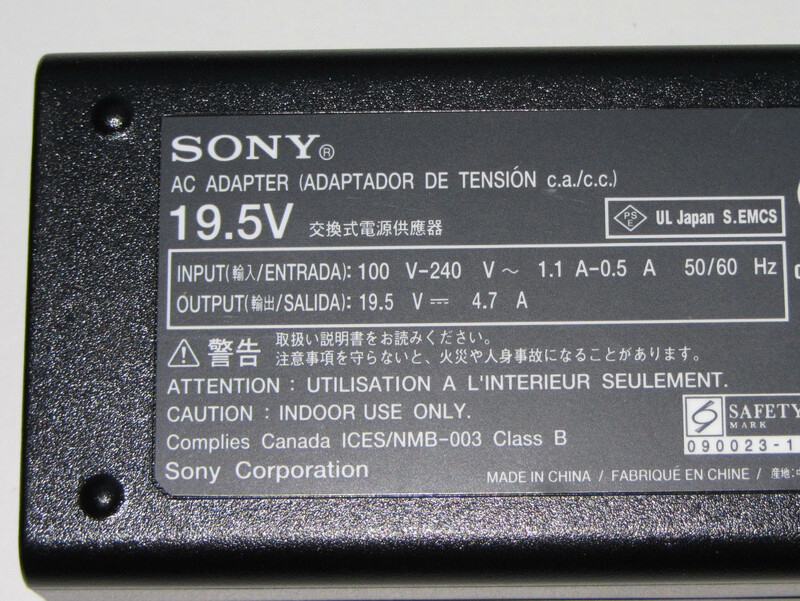 The battery can also be chosen directly in Sony's online shop instead of the standard battery. A price of 95 Euros (~$122) will be charged. The Sony Vaio SV-E1511V1EW raises some negative criticism. Among these is the abandonment of using the integrated GPU, the insufficient battery runtime, the rattling keyboard as well as the average display. Those who can accept this criticism get a multimedia notebook for use at home, managing all daily scenarios satisfactorily. But for office work the notebook is not acceptable. However, not everybody wants to pay 700 Euros (~$896) for a notebook. The Sony online shop offers potential for saving money. For 520 Euros (~$640) a trimmed-down version of the SV-E1511V1EW (Intel Pentium B970, AMD Radeon HD 7650M, 4 GB RAM, 320 GB HDD) capable for gaming can be purchased. The competitors offer respective configurations. For example Acer offers the Aspire V5-571G (Intel Core i5-3317U, NVIDIA GeForce GT 620M) a slim multimedia notebook for a price of 600 Euros (~$768). We like the white casing. Sony advises to always put the device on a stiff and level surface. ...and has a maximum capacity of almost 92 Watt. ...and the DVD-drive can be extracted. The notebook possess to ram sockets. An hard disc exchange would be no problem. Underneath just two maintenance panels are present. The DVD burner reads and burns every type of DVD and CD. Two card readers for different card types. ...and has a capacity of 44 Wh. The notebook can be configured individually in the Sony online shop. Better battery life. That should have been possible. Sony deactivated the integrated Intel-GPU. Therefore Sony accepts worse battery life.